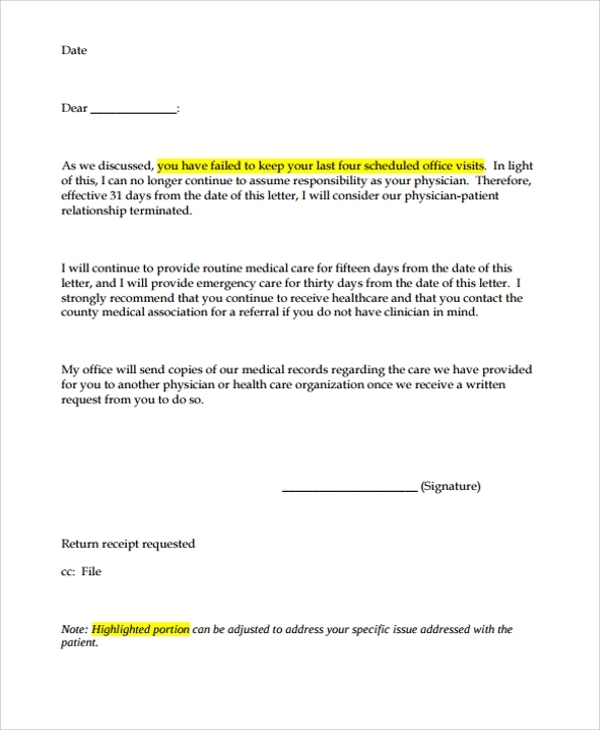 If you have to dismiss a person from a particular service, then you would need such a format where you can simply put in the details of the employee and print it. 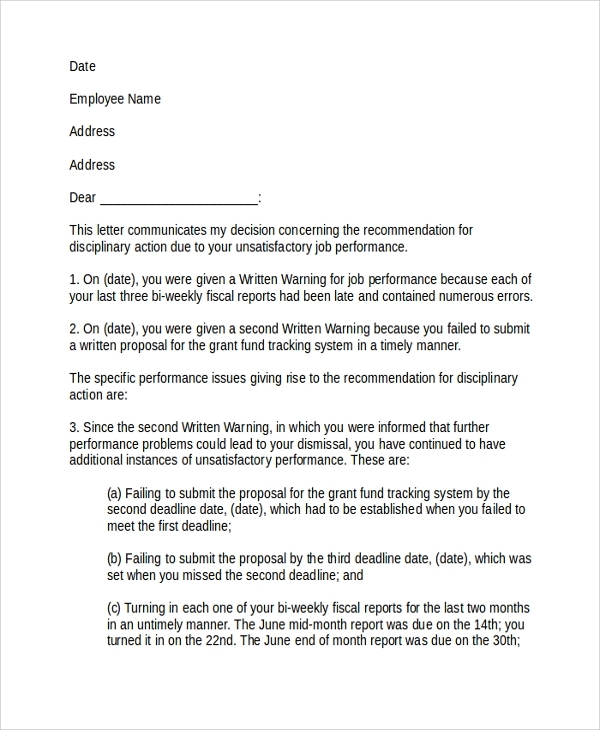 Such templates or formats are available to help you frame a perfect Employee Termination Letters, where no one would be able to point out errors. You may not be sure of the style and format. But the templates often save you from lot of thinking and drafting of the desired format. This format or template is simple where you can use it to dismiss any person in any post in any office etc. The application of the template is universal and requires you to just fill in a few fields to complete the letter. It has made the work very simple and fast. 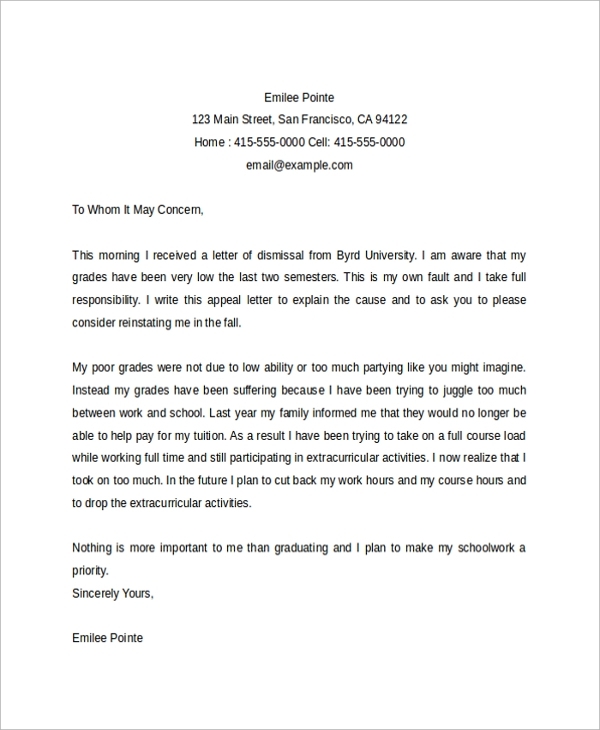 This is another interesting format wherein you write the letter with little more details and provide reasons for the dismissal in words which are carefully chosen to state the condition and not to hurt the person. 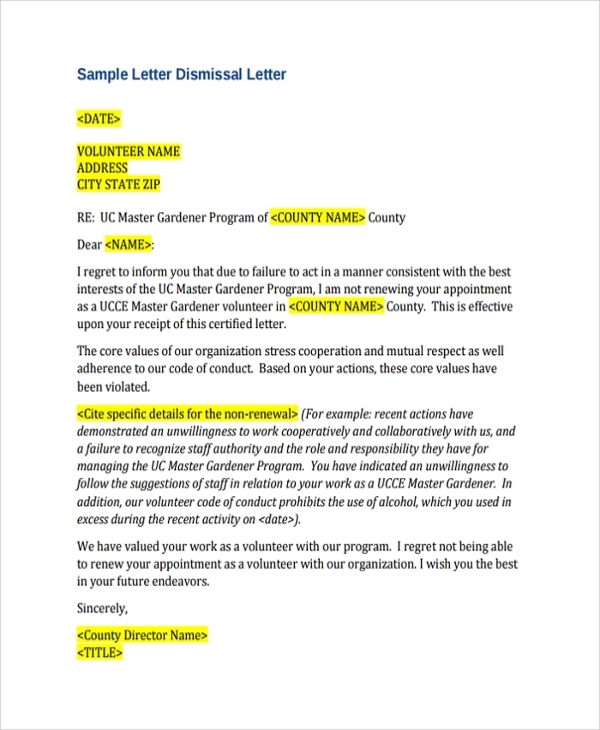 This carefully chosen letter format has again a few fields to be customized so that you get a complete ready termination letter. 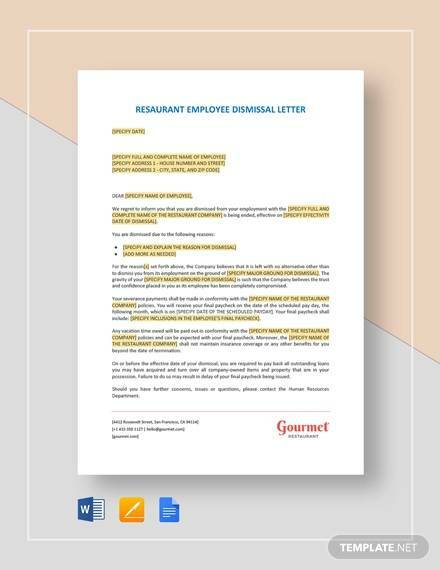 A sample termination notice is framed universally so that it can be applied in any condition and ground in any organization. The simply customizable fields make it easy to personalize ad use. Just the plain format gives a good idea of how the style should be and one may even copy the style and use his own words to frame another letter. 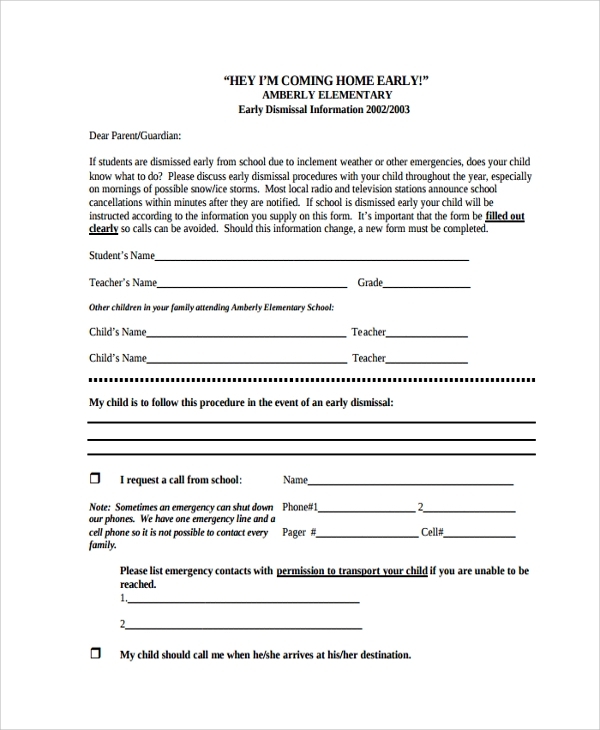 Why use a Dismissal Letter Template? Every action in an office or organization must be documented. If you are appointing someone then it has to be documented, and then again any dismissal has to be strictly documented. 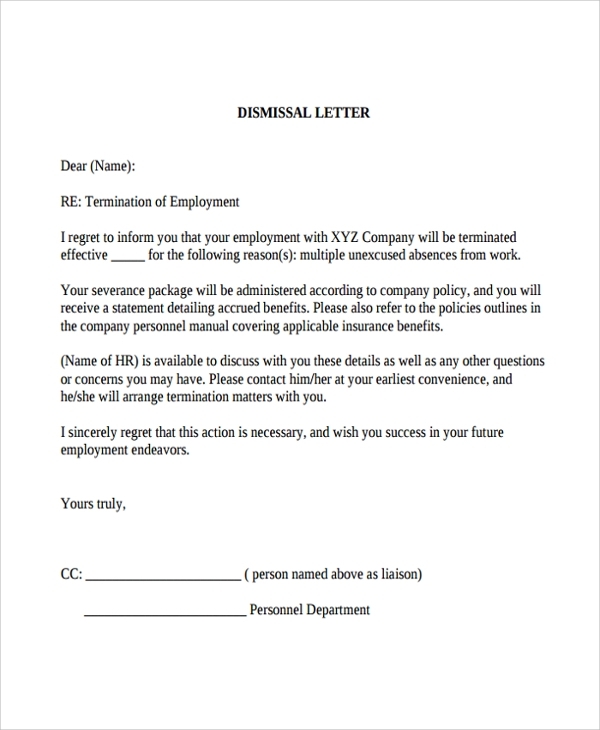 To do the same, and so that the person can be legally dismissed from service, a termination notice is a requirement in any organization. If you are not sure how to do the process, then you must take a look at the dismissal letter formats and examples available online. 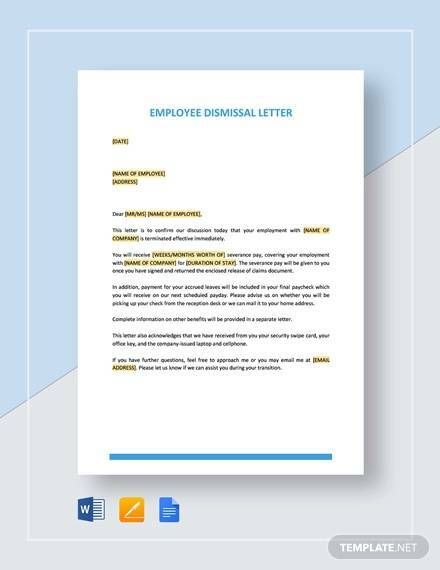 This will give you a nice idea of how to use careful words and unparliamentarily statements to strictly and politely declare the dismissal of an employee. 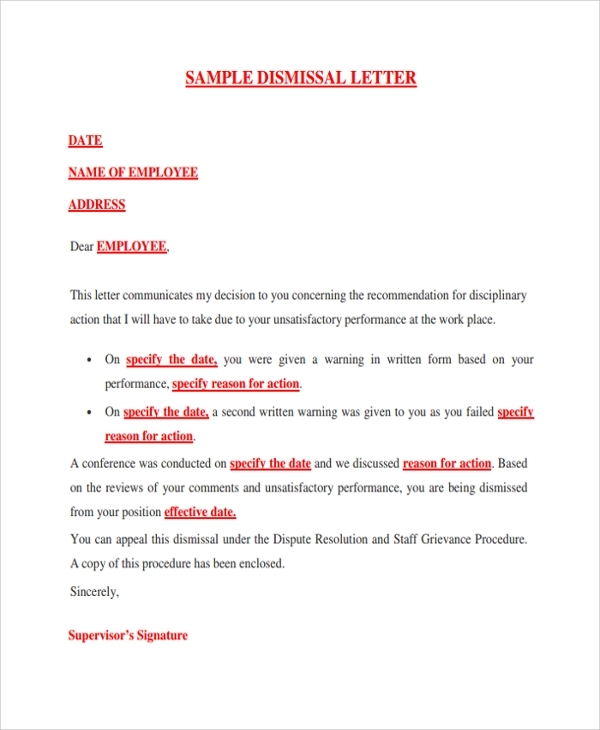 The dismissal letter template is quite important as this guide properly about how to write a dismissal letter with the right format. Normally it’s not easy to tell a person that he is dismissed, and the language which has to be chosen to tell the same, has to be diplomatically correct, and strictly non-controversial. To ensure all that is not possible for any normal person, who may not be good on drafting letters and weaving tactful sentences. 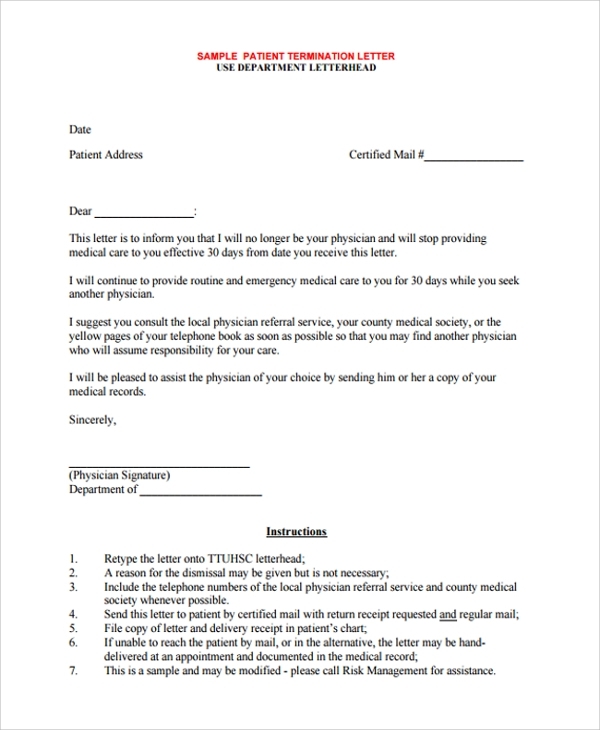 That is why the formats and templates play an important role in telling the right pattern of writing the Warning Letters. 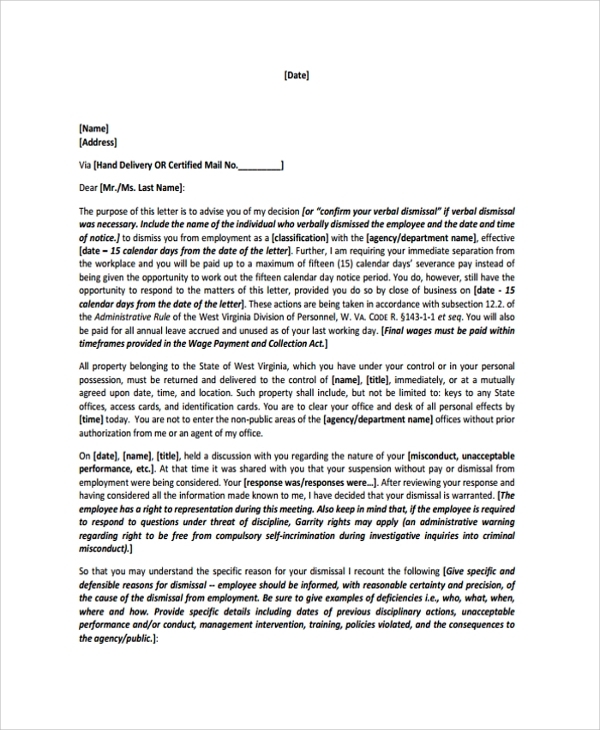 Using templates to frame a dismissal letter is the safest option, so that you do not get into any controversy due to the choice of language or words, or due to inadequate reasoning etc. That is why it’s best to download a template from a good site online, and then fill in the required fields in it to complete the letter body. 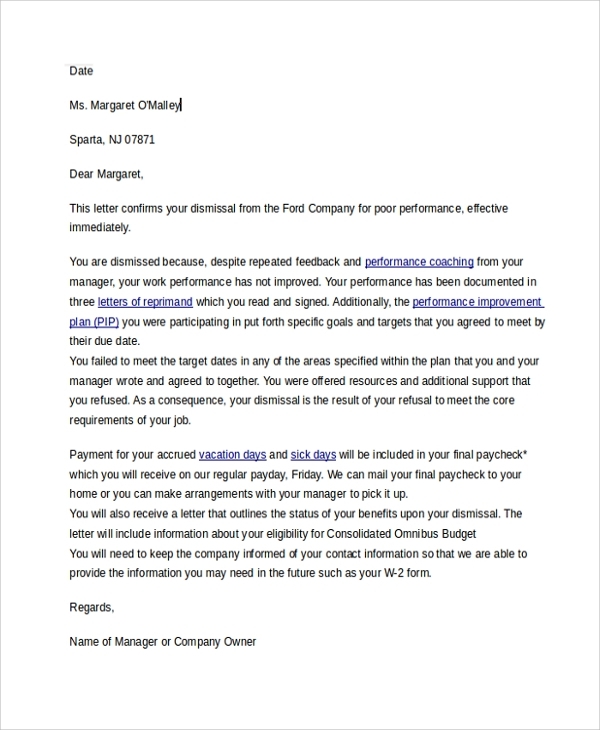 If you have a little confusion regarding the framing of a dismissal letter, just don’t waste your time and quickly get a free download of a PDF or Word file format of a dismissal letter. This will save you much energy and effort, and your letter body will look perfect.